Burhanettİn DuranTurkey's opposition parties are finding it difficult to launch a joint presidential campaign. 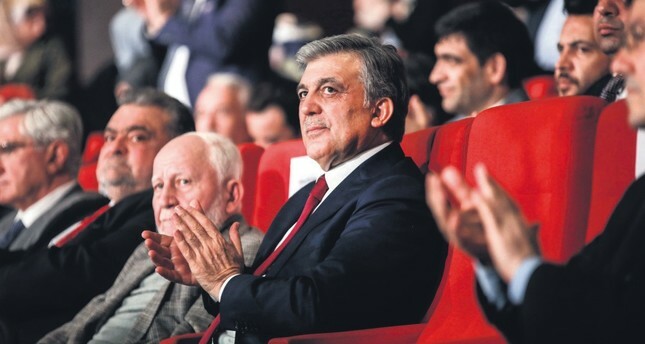 Despite the hard work of the Republican People's Party (CHP) and the Felicity Party (SP), Abdullah Gül is less and less likely to emerge as the opposition's joint candidate. Meral Akşener's unwillingness to backtrack on her presidential bid and objections from within the CHP left Gül just no choice. He will either accept the SP's nomination or run as an independent. To be clear, he has time until May 5 to decide. No matter what happens over the next days, however, it is no secret that Gül miscalculated his political prospects. His initial goal was to emerge as a "new hope" by bringing together the opposition and a certain faction within the Justice and Development Party (AK Party). His supporters hoped all social groups would conclude that Turkey desperately needed Gül's leadership. Needless to say, things did not go as expected. Instead, there seems to be a divide between the former president and the AK Party – the political party he co-founded. In recent days, efforts by the opposition parties to jointly endorse Gül's presidential bid took an unexpected turn. Instead of fielding Gül as their joint candidate, opposition leaders want to lure away conservative voters, including the Kurds, from the AK Party to deny President Recep Tayyip Erdoğan a first-round victory. Obviously, Gül repeatedly miscalculated his relationship with Erdoğan's AK Party. Since 2013, the former president distanced himself from the party against the backdrop of the Gezi Park protests, the fight against Gülenist Terror Group (FETÖ) terrorism, and growing tensions with the West and the Gulf. He has been notably critical of Erdoğan's response to the turbulence fueled by international players. Finally, Gül took the ultimate step by letting the conversation on his potential presidential bid drag on. One might argue that Gül has not actually decided to run. It was Prime Minister Binali Yıldırım who explained how little the difference was between "thinking about running" and "actually running": "It was an engineering project, and it failed." It is a common misconception that Gül was left with two options when the People's Alliance rallied behind President Erdoğan: To run against the incumbent, or not. But letting the opposition parties talk about his candidacy at length was a decision that changed the course of his political career. The side effects of that choice can be observed within the AK Party and the opposition alike. At this point, Gül's only way out is to come out in favor of Erdoğan's candidacy. It is no surprise that the opposition desperately wants to deny President Erdoğan a first-round victory in the upcoming election. This is why Gül's name came up in the first place. In the second round, they hope, voters will side with Erdoğan's opponent to remove the incumbent from power. To be clear, this is exactly why Akşener refuses to suspend her (prospective) campaign. The underlying assumption here is that anti-Erdoğanism could unite opposition movements across the spectrum in the second round of the presidential election. Whoever ends up competing against Erdoğan, opposition leaders expect, will secure enough votes. Ironically, the opposition already tried this approach to no avail, as the 2014 presidential election ended with a first-round victory for Erdoğan. On April 16, 2017, Turkish voters overwhelmingly supported the adoption of a new system of government. In June 2018, the country's next president will be elected under those new rules. The idea that the opposition could beat Erdoğan in the second round, regardless of the runner-up's identity, is misleading. Muharrem İnce, a CHP parliamentarian who hopes to run for president, made this point very clearly: "If I had to choose between the two candidates, I would vote for Erdoğan." Perhaps his statement was an attempt at manipulation. There is a good chance that İnce would make some extremely harsh statements about the incumbent if he ends up running for office. But his remarks suggest that CHP voters could consider voting for the incumbent in the second round. Same goes for members of other opposition parties.